Let’s face it. We’ve all had it, we all hate it, and we all want to avoid it. What am I talking about? 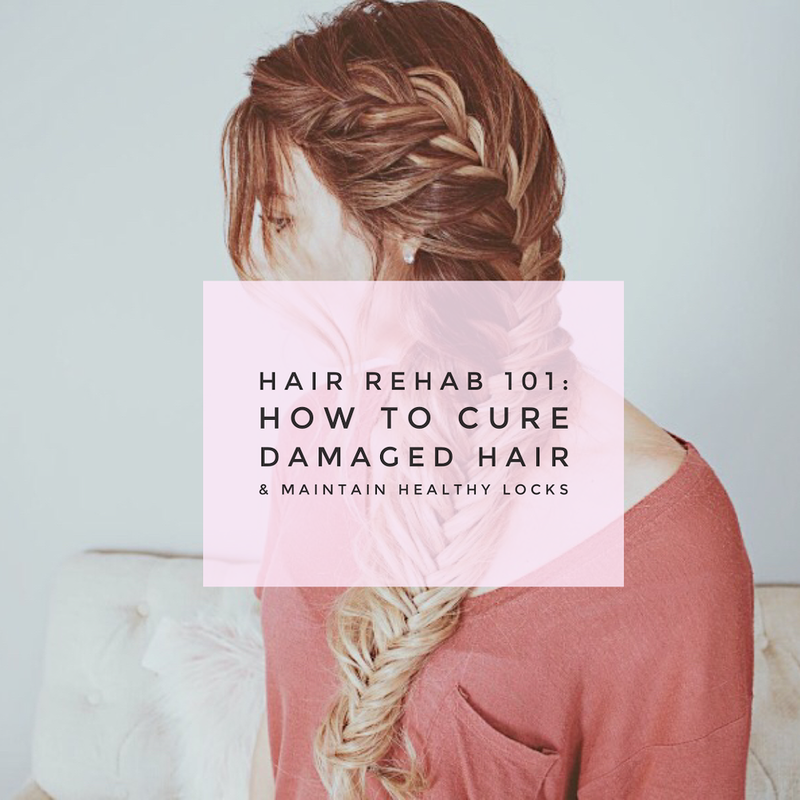 Hair breakage, & It’s time to break up with it- for good! If you suffer from dry hair whether it’s from bleached locks, dryness, or over usage of hot tools, I suggest the following..
1- Start from within. Stay hydrated every day. Drink Hot water with lemon every morning and room temperature water through out the day. When your hydrated, your hair stays moisturized and shiny and won’t dry out. 2- Up your intake of Omega-3 fatty Acids, Vitamins A and C. Get this in your diet by eating greens, veggies, fruits and sweet potatoes. If you feel this isn’t enough you can add more, by taking supplements. I take supplements daily. This will promote circulation and add shine back to those locks. 3-Sugar Bear Hair Vitamins. Formulated with essential hair-friendly vitamins like biotin, folic acid, and Vitamin D, it nourishes your hair from the roots to improve strength, elasticity, length, and shine. And they taste delicious. 4-Sleep with Silk Pillowcases. Friction between your hair and pillowcase is a real thing. Sleeping on silk will eliminate the friction that causes frizz, breakage and split ends. PEACE! 5-Invest in a large bottle of Olaplex #2. Most people use #3 but #2 is much stronger. I put this in my hair for an hour before I wash it 2x weekly. 6- Use a wide tooth comb to get tangles out. Wet brushes are also great. Be easy while brushing. 7- Air dry as much as you can with minimal product. You can create fun, loose braids. 8-Get serious about your hair masks. Deep conditioning treatments using avocado oil, Jojoba oil and coconut oil are my favorite. 9- Invest in your shampoos and conditioners. Make sure your using sulfate free products. Stay away from harsh detergents and synthetic ingredients. Oribe and Ouai have great products. 10- Trim your hair! A lot of girls want to hold on to their long, broken hair. It’s not pretty, trim it off girlfriend! Trimming dead ends can instantly make your dry hair look and feel healthier. When your ends are split, they split up the cuticle, trim them off before your split ends split too much. You’ll be surprised how quickly your hair will grow with frequent trims. More regular visits to your stylist will make such a difference. Washing your hair every day. The more you wash it, the more you dry it out. Hot tools. Put down the curling iron, throw out the straightener, let your hair breathe. Damaged, dry hair and heat are not friends. I went 4 months without touching hot tools & if I can do it, you can too. This will damage your hair tremendously if your hair isn’t healthy. Metal Brushes. They heat up very quickly and can also do damage. Invest in some good brushes that contain no metal. Tight Hair Ties. This can stress out the hair and cause breakage. Use a loose scrunchie or clips. Hairspray. I know. But most hairsprays contain alcohol and harsh ingredients that just dry and damage your hair.